Christ has delivered believers from the power of sin, but instead of living in true freedom, we struggle with the same failures every day. This is not how it's supposed to be. We need someone stronger than us to release us from the prison of sin. 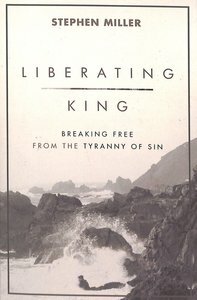 Enter Jesus, the liberating king. With passion and purpose, worship pastor Stephen Miller calls readers to draw near to Christ in worship, allowing his Word and the Holy Spirit to loose our chains by exposing the lies that imprisoned us in the first place. When we do, we see everything more clearly--from the sinking sand of our man-made security to the solid rock of Jesus's unshakeable power. Miller shows that holy living is within our grasp when we keep our eyes and our adoration on the one who was sent not only to save us, but to make us into new creations. Stephen M. Miller is a seminary-educated journalist and full-time freelance writer from Kansas. His Who's Who and Where's Where in the Bible was a bestseller.